6 Legs 32 x 1.3mm, POD-Connector. Springs: 36 x 5'' 3.2mm wire, (30Nos). 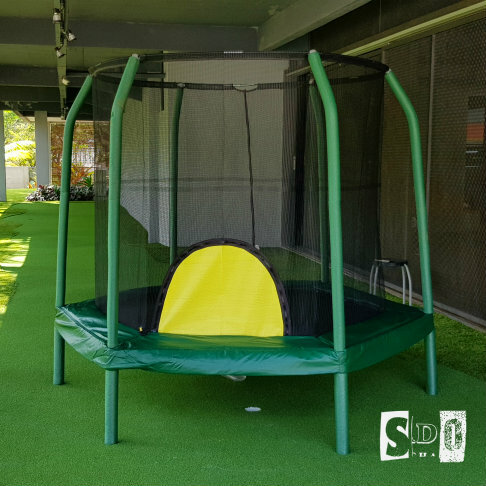 Pad: 180gm/m2 Green PE mesh+Laminated on top, 15mm PU foam, 5mm foam on surround skirt, 90gm/m2 BLACK PE bottom, Without Logo Printing. Bed : 100% Black Polypropylene, With Bazoongi printing. 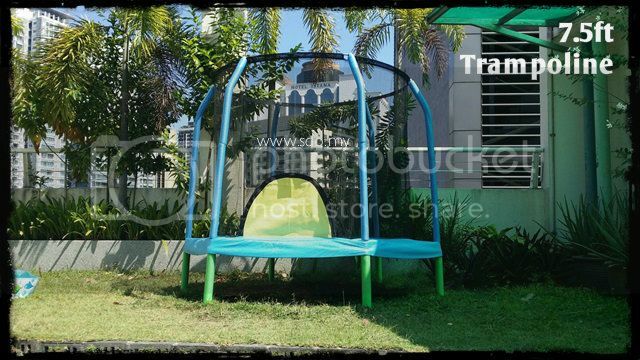 Enclosure Frame: 6 Straight pole 25.4 x 1.0mm, Green PU foam top with G3 FRP, bottom with PP-rope, 56'' height. 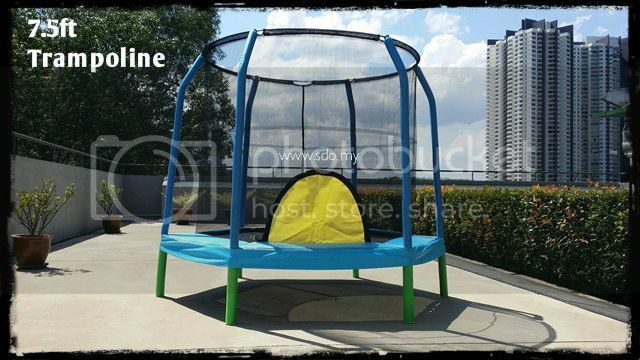 Mesh: 100% Black Polyester, Yellow tunnel shaped zipper door. Top with full mesh tunnel sleeve. Packaging : One color box. 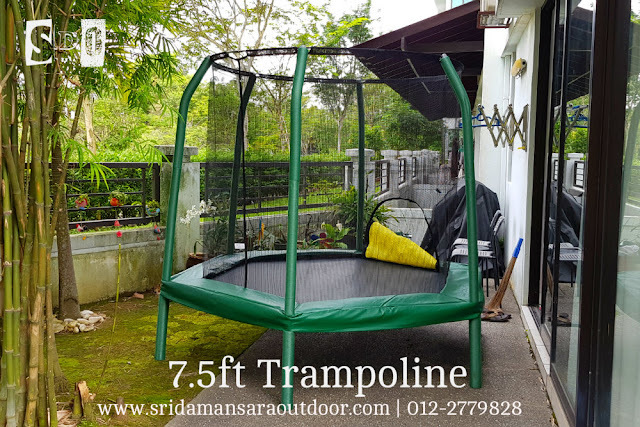 HARGA: RM680.00 **HANTAR / PASANG PERCUMA DI LEMBAH KLANG.